(NaturalNews) Genetically-modified organisms (GMOs) could soon go the way of the dodo bird, thanks to an emerging new crop management technology that capitalizes on natural plant and soil microbes, rather than harsh chemicals and foreign genes, to combat pests and boost crop yields. The technology is known as "biologicals," and it's already proving to work better than the proprietary systems peddled by Big Biotech, which lock farmers into expensive contracts and bankrupt many of them when their systems fail. Pioneered by David Perry, CEO of Indigo Agriculture, biologicals are already being used as a treatment for cotton seeds in the southern U.S. – some 50,000 acres, to be exact, already being successfully grown using microbes specifically tailored to help cotton thrive in dry conditions. Many people are already familiar with soil microbes, which surround the roots of plants and help protect them from disease and pestilence. But plants also contain microbes inside their structures that perform similar functions, and it's these that Perry and his colleagues are cataloging as part of their efforts to clean up commercial agriculture and make it more "green". Known as "endophytes," these various bacteria and fungi that live inside plant tissue play a variety of roles, and Indigo is aggressively researching all of them to figure out which ones work for which functions. They've been able to put together an extensive database already, thanks to recent advances in DNA sequencing and inexpensive computing. 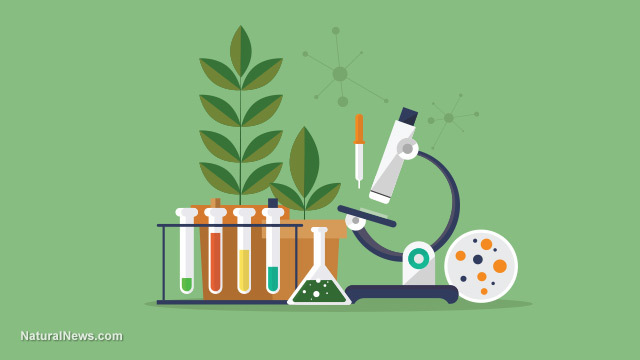 Using machine learning and other emerging technologies to analyze how this extensive microbiome functions, the goal is to establish a complete repository of what each organism does within a plant, both in isolation and with the other organisms surrounding it, in order to best utilize them all in large-scale crop management. And with $156 million in venture capital already established, the likelihood of this becoming a reality in the very-near future seems probable. What's perhaps most impressive with Indigo's marketing model is that it doesn't charge farmers upfront for the use of its products. Only when there's been a measurable increase in crop yield does a farmer have to pay – a far cry from the way Monsanto predatorily charges farmers upfront and keeps all the cash, even when its biotechnological inputs fail. This is the future of large-scale agriculture: a results-driven business model where only the best and safest crop technologies that actually help farmers rather than robbing them dry are adopted and used. It's good for farmers, and it's good for the rest of us who live off their bounty. It's also good for soils, which will no longer be carpet-bombed by chemicals that eradicate the very microbes that protect plants from pest and disease, leaving them more vulnerable to failure than if they'd been left alone from the start. This broad-based, soil-focused approach, which is greatly contributing to the growing epidemic of "superbugs" and "superweeds" isn't working, says Tyler McClendon, president of Oxbow Agriculture, which is currently growing 1,000 acres of Indigo's cotton. Isolating individual microorganisms and tailoring them to a specific crop for a specific purpose is a much better way to grow and manage crops, and it's a much better way to move forward in feeding a growing and hungry world. As for Indigo's commitment to farmers over profits, Perry says that the only thing the company asks for is "a share of the value we create at harvest." Seems reasonable, doesn't it?